We're headed to Crater Lake National Park, but we needed to split up the trip. 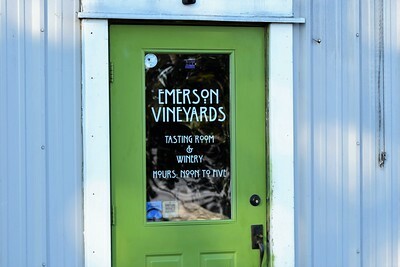 So, Linda, being our Harvest Hosts site finder, picked out Emerson Vineyards in Monmouth, Oregon. Per Harvest Hosts Code of Conduct, we called in advance yesterday and made sure they had a spot for us on this Friday night. 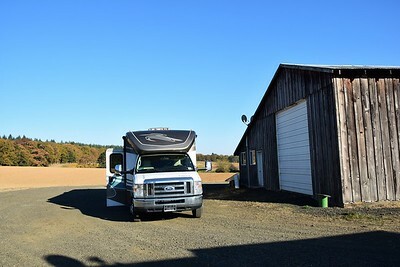 For more details on the Harvest Hosts "free" camping program, check out this post I did this past August - Harvest Hosts - which also includes a link for a 10% discount off a membership. Or, you can just click on the banner below and go to their website where you will see a coupon code at the top of the page to use. We pulled out of our overnight parking lot in the late morning and headed south. We concocted a route to completely avoid Portland taking U.S. 30, U.S. 26, OR 47, & OR 99W for 140 miles to the winery. We arrived around 4:00, and they directed us to park behind a barn so we wouldn't be in the way of their operations. 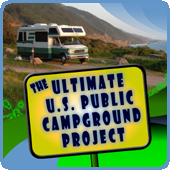 There was already a 45-foot motorhome parked off to the side in that area. 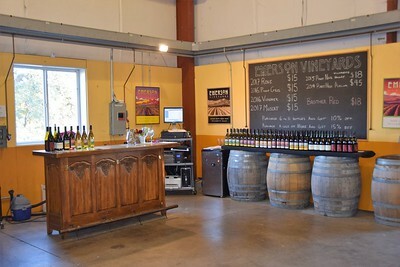 The tasting room was open until 5:00, so we walked over there immediately so Linda could pick out some wines. 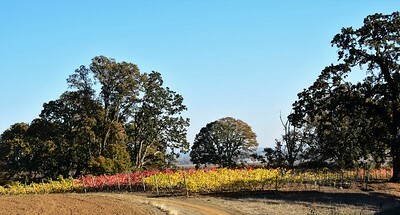 On the way, I took a few photos of the vineyards and grapes they had just harvested. 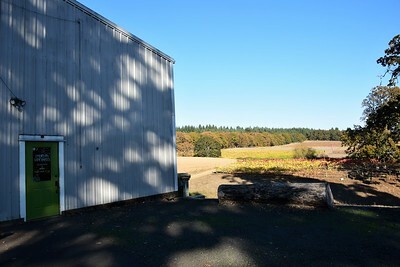 The tasting room was in the front of the processing building. They were quite busy with other things, but a young lady stopped what she was doing to present their wine selection. 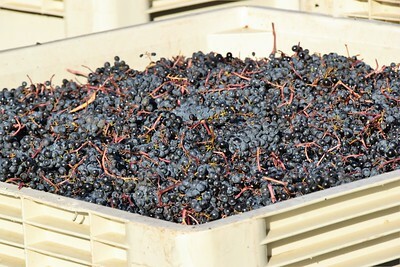 As you know, I don't like wine - I've tried, just can't stand the taste. 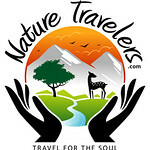 But Linda and most other RVers we've met are big fans. So she likes to have a few bottles on hand. 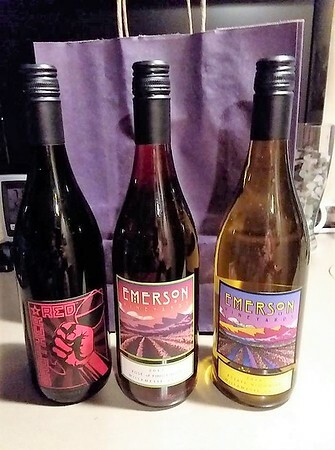 She went through the tasting and selected three bottles. She REALLY liked their premium 2014 Avelina Estate Pinot Noir, but she couldn't justify the $45 price tag. She got the other three bottles for about the same price. While at the tasting, we met our RV neighbors Bobby & Carol. They have been full-timing about a year now out of California. 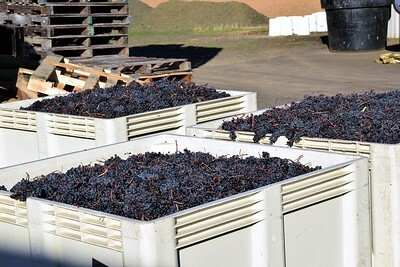 After we dropped the wine off at our rig, we joined them outside and chatted for awhile. Linda put together a little platter of cheese, grapes, and dates, and she enjoyed some wine with our new friends. 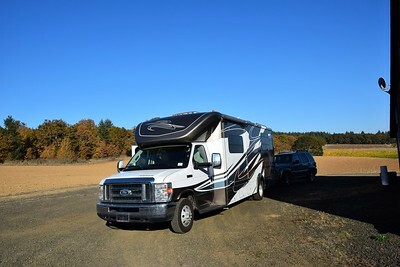 It was another gorgeous day in the Pacific Northwest, but it started getting chilly when the sun went down so we retired to our respective rigs. Again, for more details about the program, check out our RV-Dreams Journal entry on Harvest Hosts. 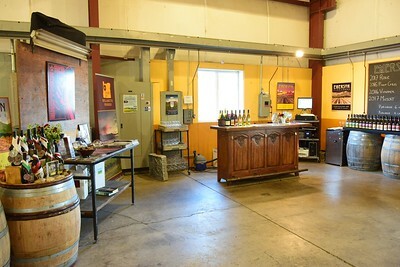 And you'll note on the banner below that it's not just wineries, but also breweries, farms, and more. Being familiar with the Portland area, since we have spent 6 of the last 7 summers visiting our son and his family there, I am curious on the specific route you took to avoid Portland. If you picked up US-30 just south of Longview and drove down to I-405 what would have taken you into downtown Portland and a nasty mishmash of exits and entrances to get on to US-26. If you went west on US-30 to SR-47, then SR-47 south from Clatskanie, is a very tight twisty drive down to US-26. Not a route I recommend for RV's, although we have driven it in our 29' Class A. We took U.S. 30 from Rainier, OR to Burlington where we took Cornelius Pass Road 8 miles over to U.S. 26. We took U.S. 26 west to OR 6 over to OR 47 in Banks. Then it was an easy route south on OR 47 to OR 99W.